This site is owned and operated by JF Joinery (SW) Ltd of Holdridge Cross Workshops, North Molton, South Molton, Devon, EX36 3HG. 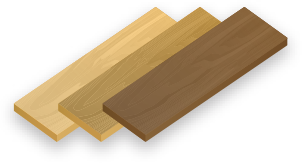 If you have any queries about these terms and conditions or if you have any comments or complaints on or about our website, you can contact us at info@jfjwoodflooring.co.uk or 01598 740197. We must receive payment of the whole of the price for the goods that you order before your order can be accepted. Once payment has been received by us we will confirm that your order has been accepted by sending an email to you at the email address you provide during your order. Our acceptance of your order brings into existence a legally binding contract between us. All rights, including copyright, in this website are owned by or licensed to JF Joinery (SW) Ltd. Any use of this website or its contents, including copying or storing it or them in whole or part, other than for your own personal, non-commercial use, is prohibited without our permission. You may not modify, distribute or repost anything on this website for any purpose. All orders are subject to acceptance and availability. If the goods you have ordered are not available from stock, we will inform you by e-mail or phone (if you have given us details). You will have the option either to wait until the item is available from stock or to cancel your order. You are able to correct errors on your order up to the point in which your order has been despatched. The prices payable for goods that you order are as set out in our website. All prices are exclusive of VAT and are correct at the time of entering information. Transaction charges will apply if paying using credit card. We will charge your account for payment upon receipt of your order unless delivery cannot be fulfilled within 30 days. We accept no liability if a delivery is delayed because you did not give us the correct payment details. If it is not possible to obtain full payment for the goods from your account then we can cancel the contract and or suspend any further deliveries to you. This does not affect any other rights we may have. Transaction charges will apply if paying using credit card. 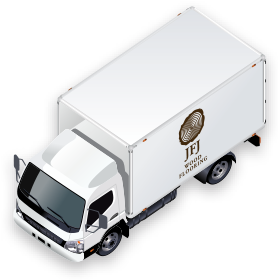 Delivery charges vary according to the type of goods ordered. Any delivery charges will be stated when ordering. 10.1 Delivery charges will vary and will be clarified when ordering. 10.2 There are occasions where you will be required to pay extra for delivery and it may not be possible for us to deliver to some locations. 10.3 We will deliver the goods to the address you specify for delivery in your order. It is important that this address is accurate so please check when order confirmation is sent through. Please be precise about where you would like the goods left if you are out when we deliver. We cannot accept any liability for any loss or damage to the goods once they have been delivered in accordance with your delivery instructions. We will aim to deliver the goods by the date quoted for delivery but delivery times are not guaranteed. If delivery is delayed due to any cause beyond our reasonable control, the delivery date will be extended by a reasonable period and we will contact you to arrange an alternative time. No liability can be accepted for any costs caused from the result of a late delivery. For this reason we advise customers to not book trades for instillation until your good have been received. 10.4 You will become the owner of the goods you have ordered when they have been paid for in full and delivered to you. Once goods have been delivered to you they will be held at your own risk and we will not be liable for their loss or destruction. 10.5 Delivery drivers are not expected to unload goods. It is essential that there are capable individuals on site on the arranged delivery date to offload goods and carry into your property. Even on smaller goods someone must be at the delivery address to sign for delivery unless stated otherwise. 10.6 Deliveries are often made by a large lorry as it is assumed that the delivery address is accessible and there is a suitable area to offload the vehicle. If there is likely to be a problem with access we must be informed prior to goods being despatched. 10.7 Our couriers may need to contact you on the day of delivery. 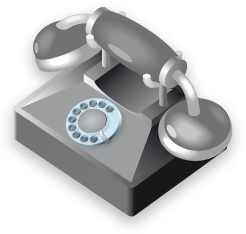 It is important that you are contactable on the number(s) you have provided us with. If we try and contact you for any reason (such as not being able to find your address), and we cannot get hold of you, you will liable for re-delivery charges. 10.8 When deliveries are made goods must be immediately inspected for any damage that has been caused in transit and to check all items you are signing for are present. No claims in regards to damage or missing items can be made once the driver has left the delivery address unless goods are signed for as damaged or missing on delivery. Any claims must be made within 7 days of receiving the goods. 10.9 Failure to comply with the delivery terms and conditions 10.5, 10.6 or 10.7 will result in you being liable for a delivery / re-delivery charge. You will need to provide us with your e-mail address and we will notify you by e-mail as soon as possible to confirm receipt of your order and confirm details. An acceptance of your order will take place on despatch of the goods ordered. 13.1 Under the Distance Selling Regulations you have the legal right to cancel your order within seven days of receipt of your goods (with the exception of any made to order / cut to size items). You do not need to give us any reason for cancelling your contract, however, you will need to notify us of your intention to do so. If the contract is cancelled after the goods have been paid for card transaction charges may apply. 13.2 If you have received the goods before you cancel your contract then you must send the goods back to our contact address at your own cost and risk. If you cancel your contract but we have already processed the goods for delivery you must not unpack the goods when they are received by you and you must send the goods back to us at our contact address at your own cost and risk as soon as possible. Goods must be returned in their original condition. 13.3 Once you have notified us that you are cancelling your contract, any sum debited to us from your bank will be re-credited to your account as soon as possible once goods have been received back by us. Refunds will be less any direct costs of fulfilling the original agreement. These direct costs include delivery costs and transaction charges, regardless of whether they were charged for or not. Deliveries are calculated by weight / distance and transaction charges are dependent on what payment method was originally used. Contact us for more details on this. 14.2 If we do cancel your contract we will notify you by e-mail and will re-credit to your account any sum deducted by us from your bank as soon as possible.